﻿ We are a AAA service provider. We offer 24 hour emergency service as we have for more than 25 years. 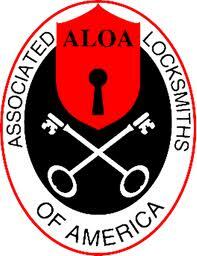 We specialize in automotive locksmithing. We Provide, Originate and Duplicate High Security & non High Security Transponder (CHIP) keys. We also stock & program the newer Smart (AKA. Inteligent) keys, also refered to as Prox Fobs or Proximity keys. These would be for Push To Start vehicles. Beware of "on Line" keys that claim to be new factory keys. The manufacturers own, and control the distribution of these keys. This is particularly true of SmartKeys (AKA Prox or Intelligent Keys). If the price is well below the price that dealer sells it, the chances are quite high it isn't an original key. We stock & stand behind all of our keys. In may well be a used or refurbished key. It may or may not work. Don't be stuck if your only key goes missing or breaks. Get duplicates now and avoid the added expense, and inconvenience, of finding yourself stranded with a lost key situation. Copyright 2012 York Automotive Locksmith. All rights reserved.